Line cookie sheet with waxed paper or cooking parchment paper. Drop mounds of yogurt (about 2 teaspoons each) on cookie sheet. Place in freezer about 1 hour or until frozen. 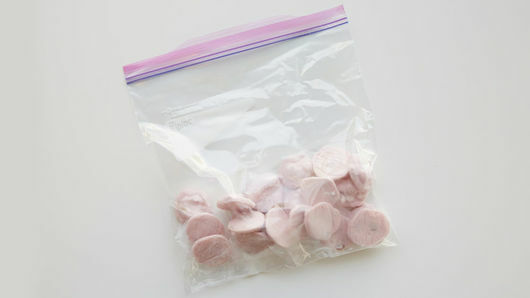 Remove frozen yogurt pieces from paper; place in resealable freezer bag until ready to use. 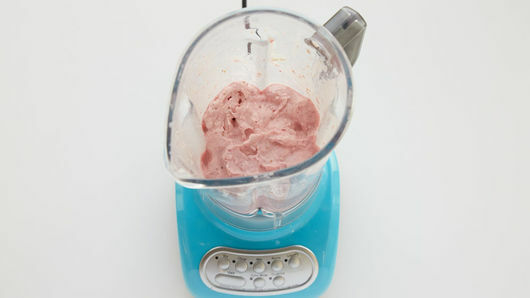 In blender, place frozen yogurt pieces, milk, 1/2 cup of the strawberries and 1/2 cup of the frozen cheesecake cubes. Cover and blend on medium speed until almost smooth. Mixture will be thick; if necessary, stop blender, and stir mixture before continuing. 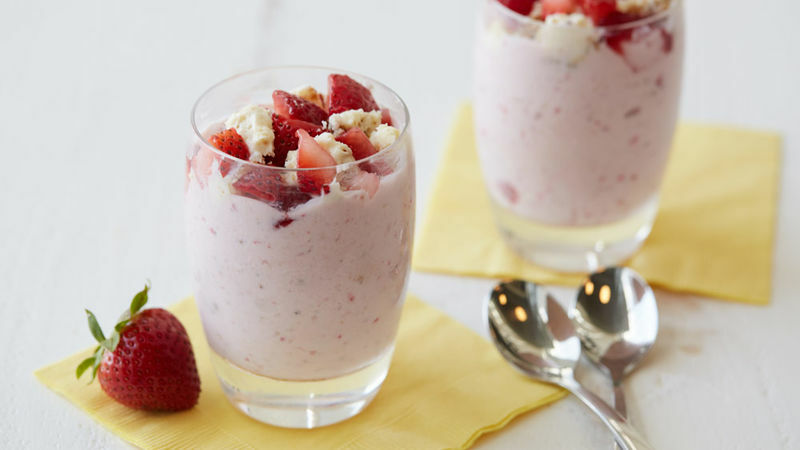 Divide mixture between 2 serving glasses; top with remaining 1/4 cup strawberries and 1/2 cup frozen cheesecake cubes. Serve immediately. 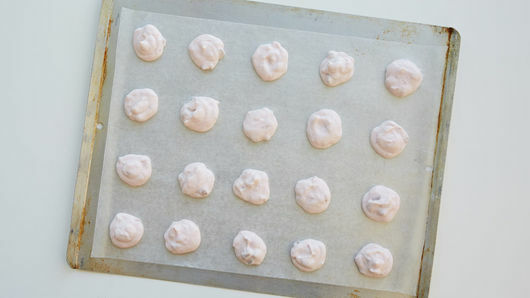 Freeze Greek yogurt pieces ahead of time to make for a quicker assembly. For extra fun, add a dollop of whipped topping before serving.